How to paste the codes in .liquid? Product Auction App for Shopify enables the feature of bid or auction on your e-commerce website. With this, the admin can enable the bidding feature on products he wants to go for auction and can monitor all the bids happening on the store from the app itself and much more. With this magical app called Auction, which will enable the feature of bidding and auction of products on your e-commerce website. So don’t wait, install Product Auction app & start Bidding. Admin can view all the bids and happenings in the notification section. Extremely user-friendly app with separate sections for auction, products, and notification. Admin can enable/disable the ‘Add To Cart’ button if the bid amount exceeds the actual price. On Landing Page, you will find the “install” button. Enter the shop URL where you want to install the Product Auction app. Clicking on which you will be redirected to the Auction page. On the home page itself, you will find few codes to be pasted in .liquid files and other files of HTML/CSS to have the Auction bar displayed at frontend. Auction Configuration: Configure the auction/bidding configurations like enable/disable start auction automatically, Send mail to the automatic bidder to notify his loss. Once the bidder wins the auction, it depends on admin how he/she wants the bidder to pay the winning amount. The winner will either pay the auction winning amount or some percentage of the winning amount set by the admin. If the admin selects the % of winning bid, he/she needs to enter the percentage amount. Admin can also enter the Capped amount if he/she wants the auction winner to pay the maximum amount. “Capped Amount is the maximum amount to be paid by the auction winner”. Then, the Auction winner will pay the Capped Amount. Then, the Auction winner will pay the entered Percentage of winning amount. Design Configuration: Change or reset the look of the front end and designing by changing the color of the background, themes, button text, label, and much more. Label Configuration: Edit the labels of buttons on the front and rename them as per your requirements such as changing the label of time end, bid end date, place my bid and much more. Mail Configuration: Configure the after win, purchase reminder, after proxy loses mail content such as mail subject and content. These different event’s email status can also be enabled/disabled. How to add Product for Auction? Firstly, the admin needs to add auction on products and then, the customer will bid on any of those products. Click here to know how to add a product for auction. This section of the Product Auction lists the products set for auction by the store owner. From here each products auction details can be viewed by clicking on the view button in front of the products. Clicking on view auction in front of the product will redirect you to the auction detail page for that product. Once you will click on View Auction section, it will list the products with their auction’s start and end date, current bid, and the auction status. Click ‘view’ to see a detailed structure of product bidding history, bidder details and even the remaining time for auctions in the running phase. clicking on add auction button will let you create an auction for that product by filling up auction form containing bid start end date and time and much more. Once the auction is created and then you click on view auction; you can view all its entered details. This section lists the products with their auction’s start and end date, current bid, and the auction status. Click ‘view’ to see a detailed structure of product bidding history, bidder details and even the remaining time for auctions in the running phase. Clicking on view, you will be redirected to the page containing details about the app. You need to configure your theme to make this Product Auction work. Copy the below-given code and paste it into their respective files as specified. Then paste the below-given codes in the files as stated below. Any buyer can bid for a product on which the auction is enabled by the store owner, the only requirement for bidding is to have a buyer account. The bidder will see this auction window(ref below image) for the product on which auction is enabled. The bidder will have to log in and start bidding. A brief history of bids made can be viewed by the bidder by click on a number of bids section just above place my bid. History of all the bids made by bidder can be viewed by visiting my account section of the eCommerce store. Clicking on View your bids button on my account page of the customer will make him view the history of bids made along with current bids, lost bids and won bids in separate dedicated sections. 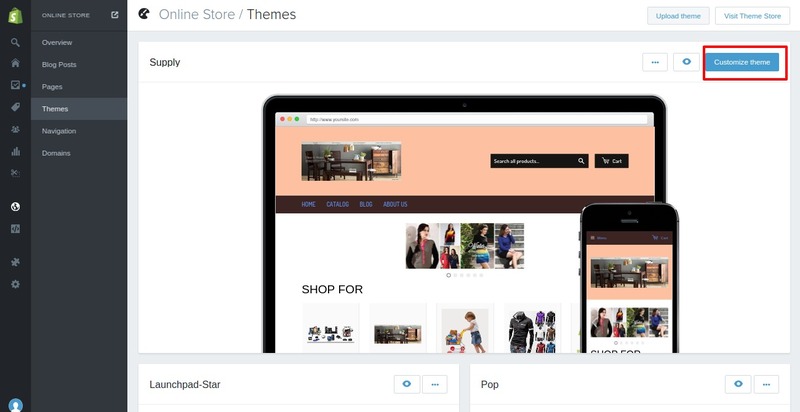 For the products on which store owner wants to enable auction, the store owner will have to visit that product from Shopify backend’s product section and have to enable auction by clicking on the three dots on the top right. Once the auction is selected, that product will start getting reflected in the product section of the Product Auction and the auction can be configured from there. hi. novice here. I’m really unclear as to where the “code” gets pasted. Like anywhere within existing code? or is there a specifice place it goes. Tried pasting according to the “1,2,3” lines in example, but shopify would not let me save, so obviously in wrong place. sceen grabs of where to exactly paste within existing code would be extremely helpful. Buy now button is not displaying at all. not affected by the option in settings. How do you display the current bid amount in the grid item and on product page? I would request you to please raise your ticket for this query here on this link below and we will surely resolve your query.